Come Visit the Mixology Masters! Avant-garde and relaxation do not usually go well together but there is always an exception to the rule. That exception is the CliQue Bar and Lounge at the Cosmopolitan of Las Vegas. Let their expert mixology team guide you into a world of relaxation and escape the dreary day-to-day life with their inventive snacks and live music. 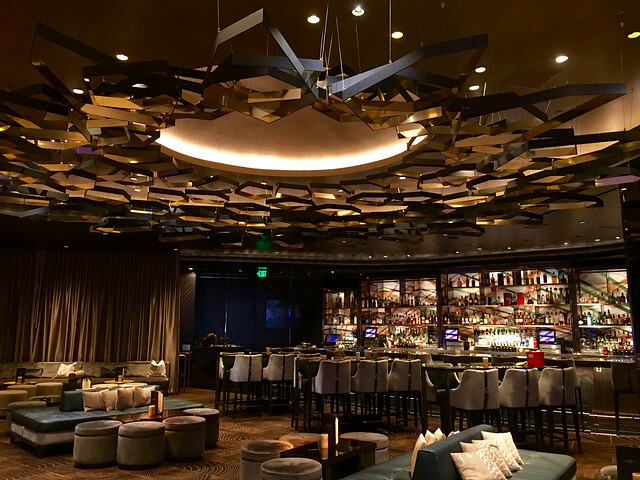 Located on the casino floor of the Cosmopolitan, enjoy the CliQue Lounge and Bar with its luxurious interior designed by Alessandro Munge. Browse and be intrigued by the menu created by award-winning chef Brian Massie, which can be paired with the many handcrafted cocktails the CliQue has to offer. You have the option to sit back, relax and watch football games enjoy live DJ performances or experience live unplugged music in comfortable seats. In regards to the CliQue menu, it offers not only a wide selection of drinks but also snacks to quiet any rumbling stomach. The food menu contains items such as the classic choice of popcorn ($8) or perhaps the slightly fancier Mini Lobster Tacos ($19), as well as many others. For those with a sweet tooth, the menu also has a choice of two desserts: deep fried oreos, or a fried PB&J, at $9 each. As an added bonus, the CliQue added two floats, each at $20 – the “Not your father’s root beer float”, a simple float made with root beer and gelato, and the “Fuhgeddaboudit”, a more intense float made with vodka, chocolate, ice cream and espresso. The drinks menu offers an impressive selection. Other than the acceptable wine and beer choices, there are quite a few specialty drinks you can only get at the CliQue like the fresh pressed option which contains freshly pressed vegetables or fruits, for a perfect combination of health and decadence. Fresh Pressed drinks are all $20 each. The CliQue specialty drinks section offers 18 different options of mixes, ranging between the prices $18 to $25. 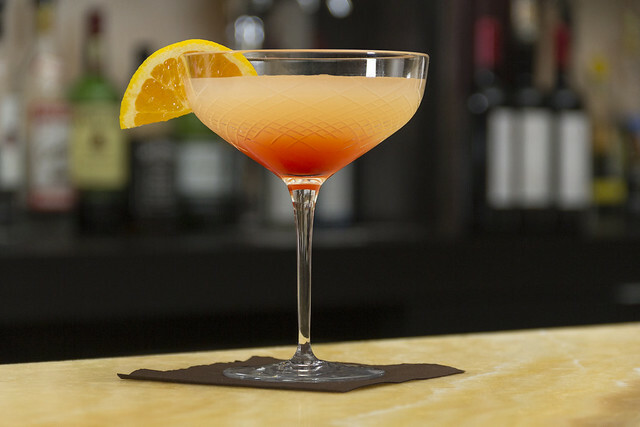 The most expensive cocktail, at $25, is the “Pinapplypse Now”, a specially made mix of Absolut Elyx vodka, sherry, orgeat, lemon, orange and aromatic bitters. To top the experience off, this drink is served inside an Absolut Elyx Copper Pineapple. If you are interested in seeing how your drinks are made and willing to go the extra bit in your budget, then the “Table Side Mixology” section of the menu is one you should check out. Between $25 and $50, have the bar come to you and watch the magic of mixology as the drink of your choice comes to life. Overall, the reviews are not as positive as they could be. Many reviewers mention the service being slow and the drinks being very highly priced. On the other hand, reviewers are happy with the food available at the CliQue.